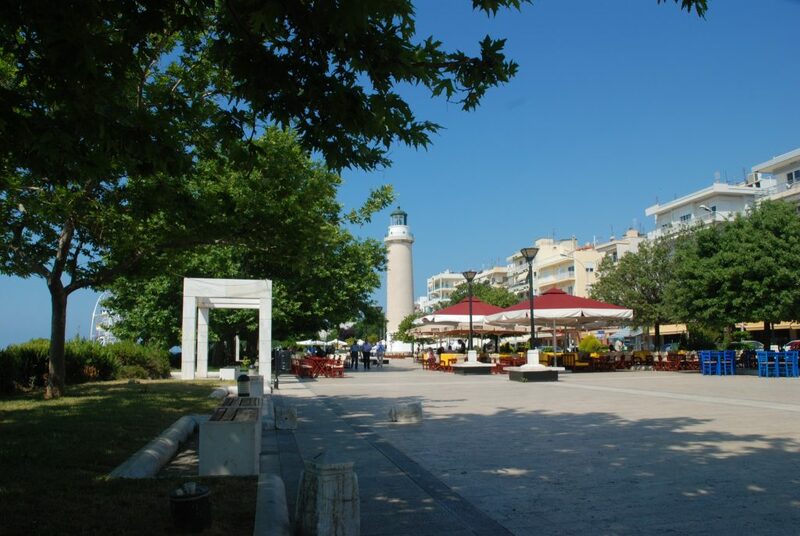 The Lighthouse of Alexandroupolis is the registered trademark, the naval symbol of the city, which when it was first inhabited, in the mid-19th century, it was exactly that; a maritime city with a brand new port, on the course of the ships that entered the Bosporus or the Mediterranean. 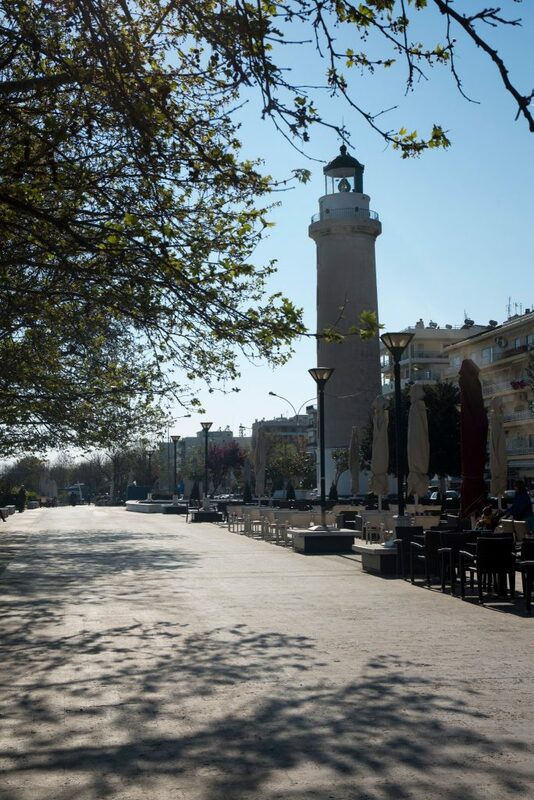 The construction of a lighthouse was deemed necessary and it began around 1850, by the French Company of Ottoman Lighthouses. 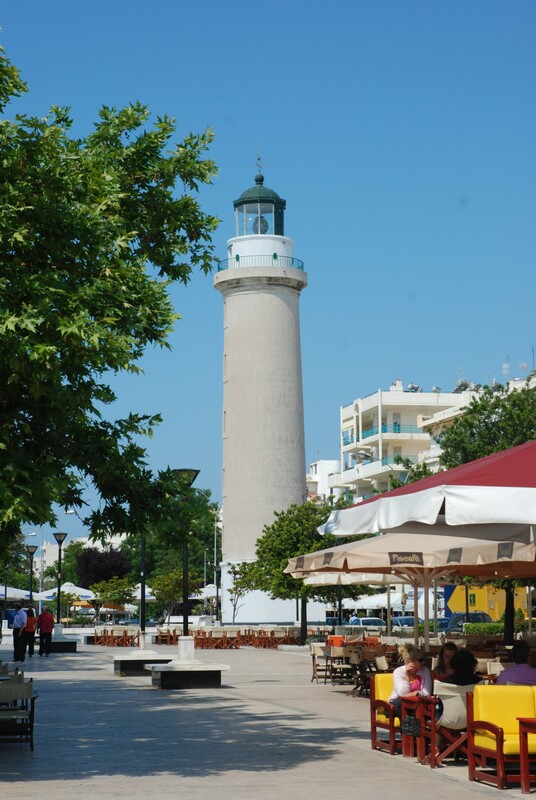 The lighthouse of Alexandroupolis was inaugurated on 1 June 1880 and since then it operates without interruption. 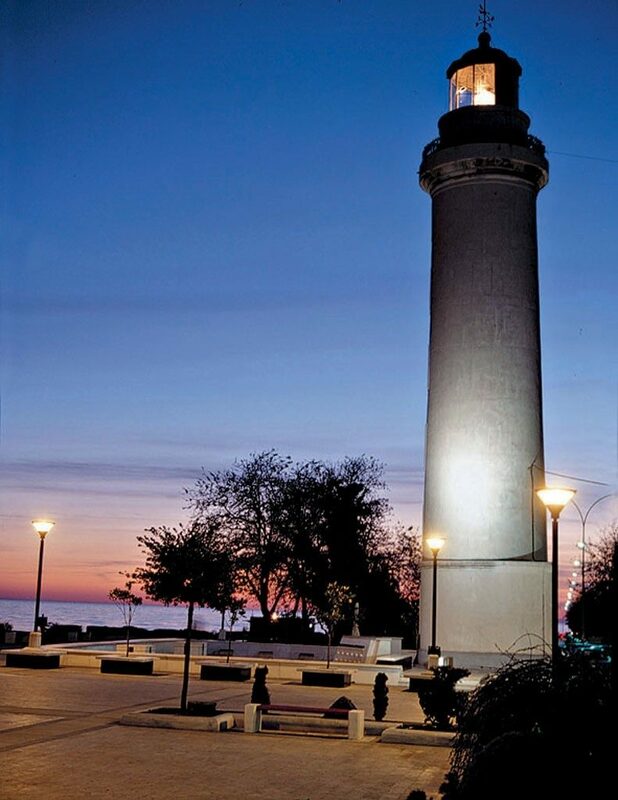 It has a height of 18 meters and if someone wishes to reach the lantern room, at the top, he needs to climb the 98 stairs with the six landings, as many as the windows that illuminate its interior. 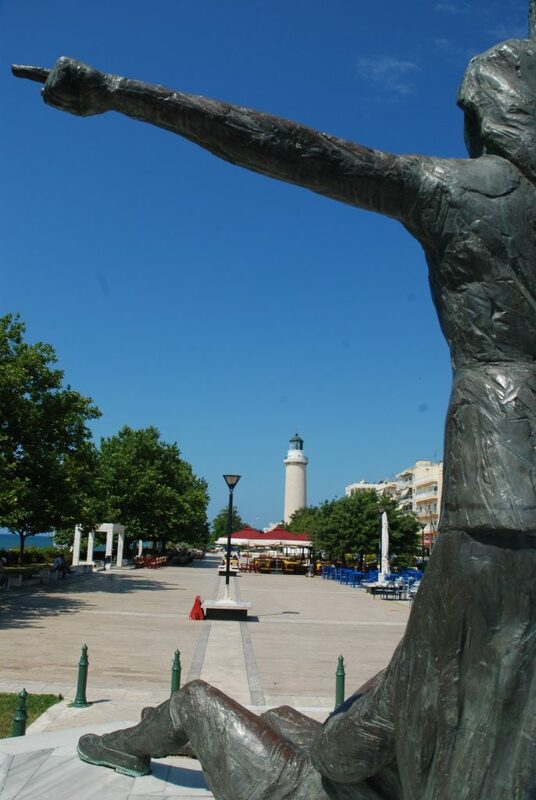 It is located west of the port and it was built on a cylindrical pedestal – its overall height from the surface of the sea is 27 meters, fact that allows the light beam of the Lighthouse of Alexandroupolis to be visible from a distance of 24 nautical miles (approximately 44 kilometers). It initially operated with acetylene and then with oil lamps. 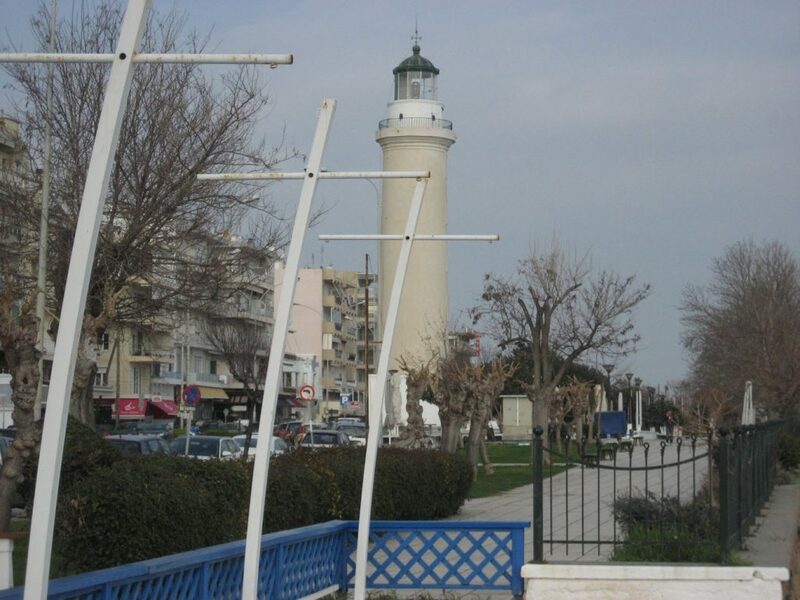 In 1974, the lighthouse of Alexandroupolis was connected and started to operate with electricity, while in 2002 it was fitted with electrical equipment of the latest technology. 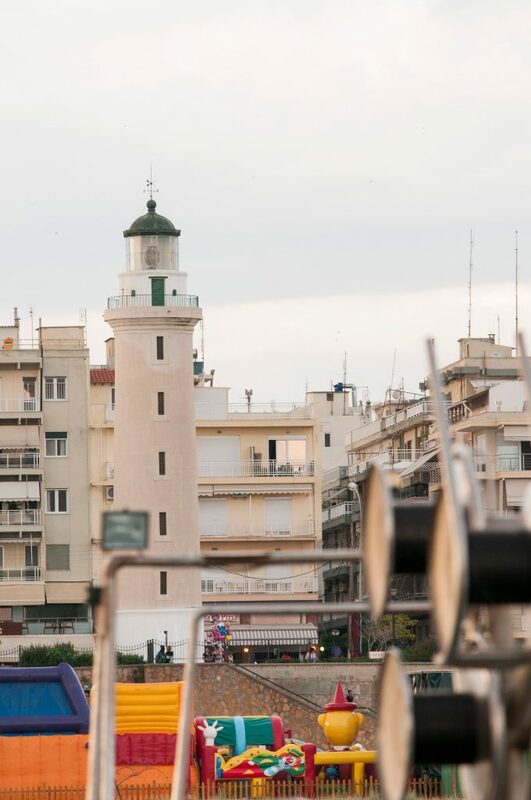 Around the lamp, at the top of the lighthouse of Alexandroupolis, a concave mirror rotates sending the light to the prisms arranged around – a process that was based on the counterweights and pulleys that the lighthouse keeper looked after for many years. 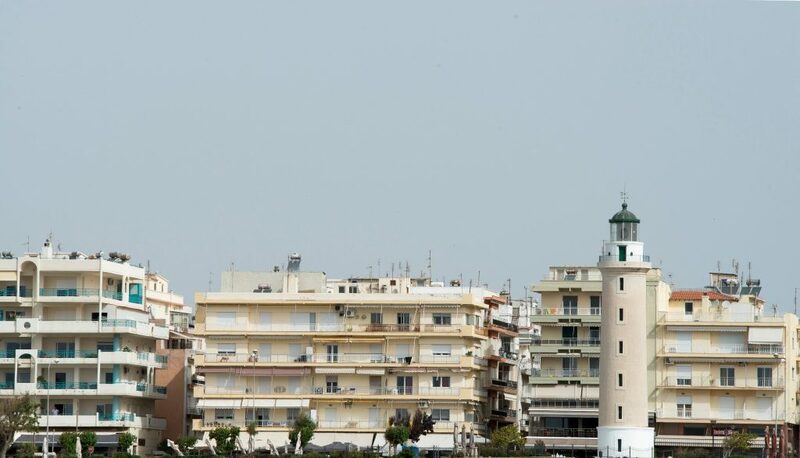 The position of the lighthouse is 40°50’7’’N, 25°52’05’’E, while it operates with three white flashes every 15 seconds. 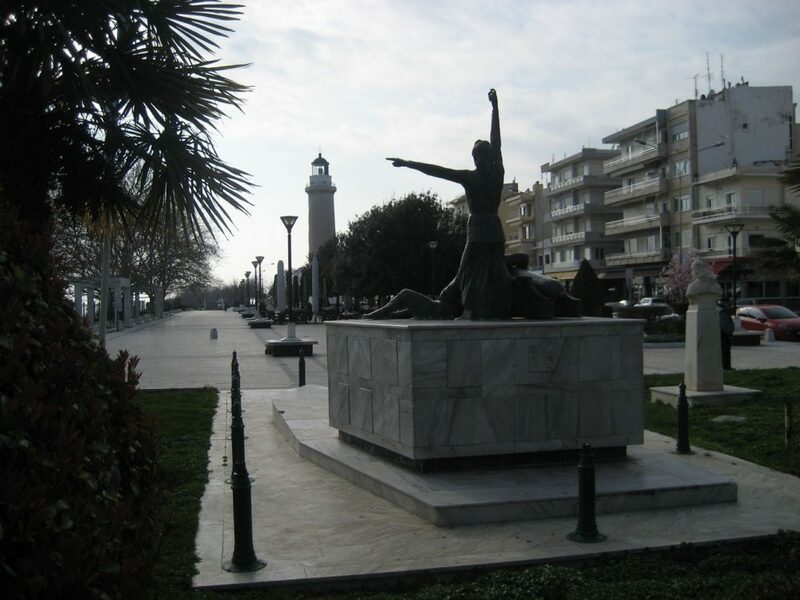 The Lighthouse Service has today undertaken the operation of the lighthouse of Alexandroupolis, while at its entrance you can see a marble plaque with it history, placed there in 1994 by the Association of Antiquities and Cultural Heritage of Evros.